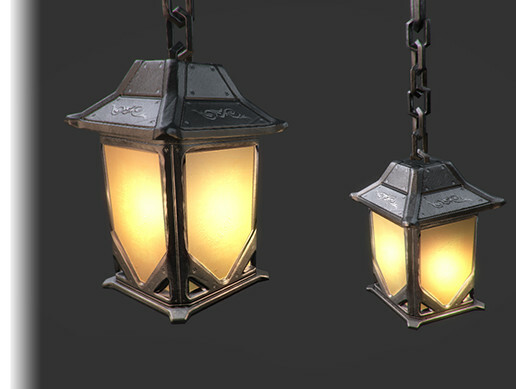 This is a game ready model of a lantern - includes fbx, 512px texture map (diff/nrml), material and prefab. Use it as a decoration or as a light source for your interior or exterior environments. The model is about 800 tris with the chains. Images shown here were rendered in Unity.